The Christian holiday of Mardi Gras kicked off Tuesday as the last day to party hard before the solemn rituals of the 40-long holiday Lent. While the holiday attracts party goers of all religions, there is one frightful outcome from the holiday worse than a horrible hangover--an excessive amount of chemical-infused waste. Each year it has been estimated that 25 million pounds of plastic beads make their way from China where they are made to New Orleans where they are given as a ritualized gift to party goers. 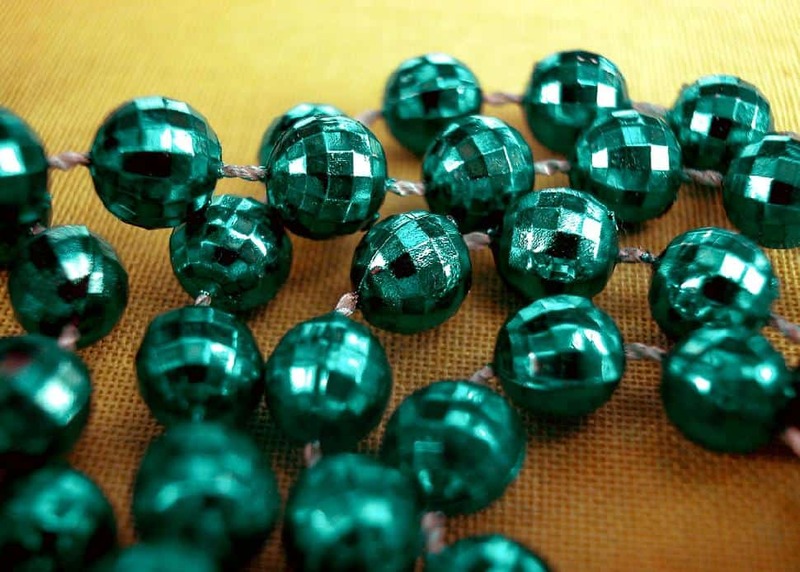 These beads are flung from parade floats in liberal mass to the drunken crowds. However, what many don't know about these shiny baubles is that they are made in China from the toxic waste that the United States ships off, mainly lead. While recycling these materials may generally be considered a good thing, they end up in the dumps, landfills and the water supply of New Orleans. Toxicologist Dr. Howard Mielke has been studying the high lead levels in the city for years and states that there isn't a system in the body that isn't negatively affected by the ingestion of lead. Mielke along with Dr. Holly Groh, founder of VerdiGras have taken to studying the beads shipped in from China. They found an abundance of lead as well as other cancer-causing chemicals including bromine, chlorine, cadmium, arsenic and mercury. These chemicals were found in 90% of the beads tested from this year's shipment of beads, especially dangerous since many of those strings end up in the mouths of children. Exposure to lead as well as these other chemicals at an early age can change a child's thought process for life. Mielke and Groh stress how important it is that these beads be disposed of properly, an institution that New Orleans does not have in place. They have taken their evidence to city officials and yet it continues to be ignored. The pair also pleads to parents to keep these beads away from children, especially those who have a habit of putting things in their mouth.